After taking the Mount Roberts Tramway from Juneau, I started to hike towards Gastineau Peak. With views of the city and surrounding area it was a great view and soon after I came across fields of wildflowers. 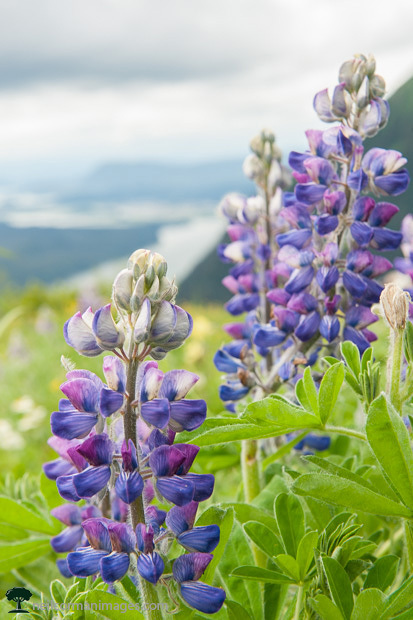 For this image I found a collection which stood out and provided a view down the Gastineau Channel towards the airport giving the flowers the primary focus but also allowing a sense of place.